You know how you go to food and lifestyle events all over New England and people run up to you and hand you a gift bag and their business card and whisper sweet nothings in your ear and they pile up in your hallway until friends or family visit and you invite them to pick out all of the kitchen utensils, product samples, T shirts, autographed vodka bottles, baseball hats and everything else just to get rid of the clutter? We call it the Prize Vault. Until it comes time for spring cleaning, when we call it Anything Alley. I usually scour the bags for nice leather-bound notebooks from media events, the really good ones that can take fountain pen ink, and personal care products that I overlooked when tired at midnight on a Tuesday night. There can be some real gems like a pocket square or cufflinks or a dusty, small bottle of balsamic. So, I was thrilled to rummage through the stuff and discover this box of goodies from Noble Originals on a stuffy, congested, in-the-throes-of-allergies night at home. 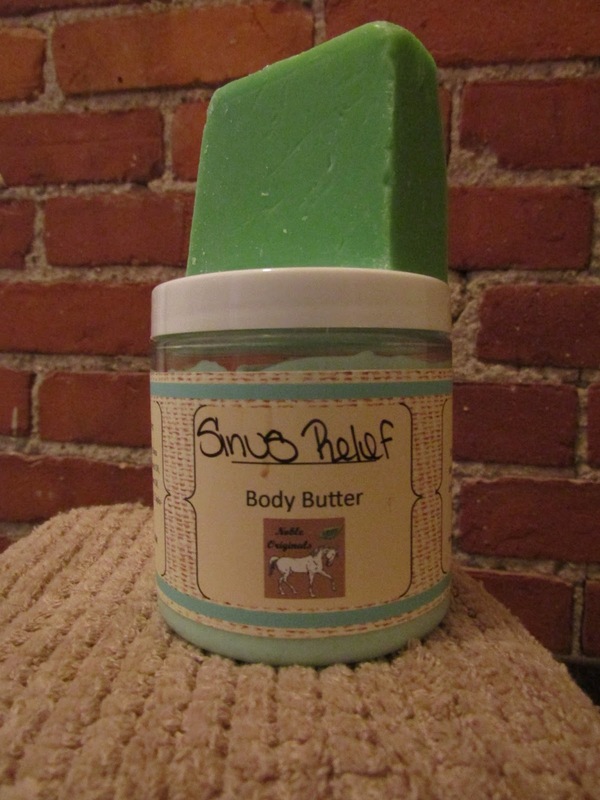 There is nothing like a warm shower with a new soap called Sinus Relief and then a vicks-like home treatment of body butter before bed after a long week. I slept (and breathed) like a baby.